GALION — The City of Galion announced Friday that last week it received notification from ODOT that it has been awarded $2 million in grant funding to widen the northern section of State Route 598 and add a center turn lane. 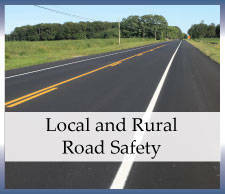 Of the $2 million, $1.1 million will come from the Federal Highway Safety Program, and up to an additional $900,000 will come from the Small City Program. The widening project will begin at the Carter Drive junction and end at the Brandt Road intersection (approximately 1.2 miles), and the entire road within this section will be resurfaced. In addition, portions of existing sidewalk near Carter Drive will be extended for improved pedestrian access. Grant funding is for fiscal year 2022. The total project cost is $5.9 million, including engineering. The local match for the project is $3,973,696. The goal of the project is to reduce traffic congestion and rear-end crashes due to vehicles making left turns. Average daily traffic for this section of the highway is 13,200 vehicles.